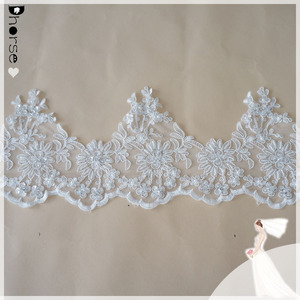 wholesale pearl beaded embroidery bridal lace trim for wedding veil item no. 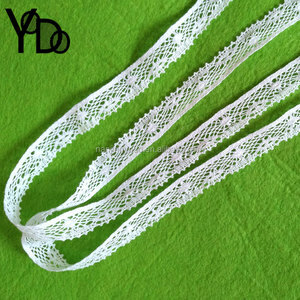 Embroidery Bttenburg Lace Trim We provide quality product at a right price. We believe in providing a good service and quality products. We understand how important is good quality products at competitive price. material/composition polyester, metallic techniques embroidery color many colors type color lace/handmade applique style lace material edging trim no. if you place the order , we will return those cost to you. * Available in multi-colors *UsageL:Apply of Underwear ,Homewear,Garment,Keep warm,Decorative arts and crafts and so on. 3.After your confirmation of the drawing,inform us the material and types you need. 5.We are custom-made product supplier,so different colors and types are available,so bring your sample and ask about the price. 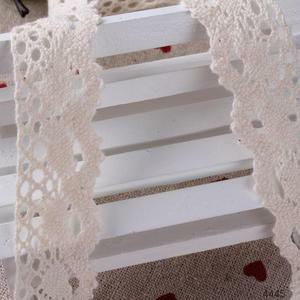 cotton lace metal chain trim for garment accessories. payment way t/t, paypal,west union, moneygram,etc. 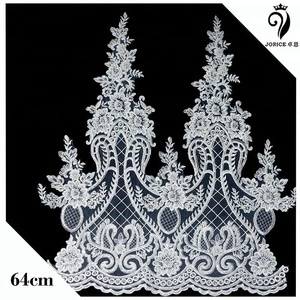 product's name fashionable tc lace art no. ,LTD established in 2002.It is a company which combines the research and development and sales as a whole We are the First factory in the world which can do the same quality products as handmade crochet products by computerized machine. We achieve China Invention Patent Right Of this technology. 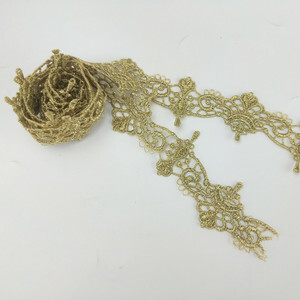 Product Features : 1)We can make samples according to customers designs 2Various colors,styles,sizes are available 3)The yarn material can be various kinds of composition 4)Nice quality&competitive price 5)Our product including: badge&patch all kinds of lace, crochet garment and other accessory. 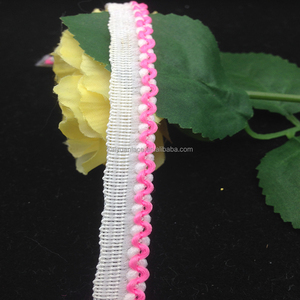 Alibaba.com offers 846 garment edge lace trim products. About 70% of these are lace, 2% are trimming, and 2% are knitted fabric. 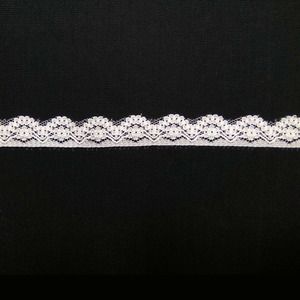 A wide variety of garment edge lace trim options are available to you, such as eco-friendly, elastic, and anti-wrinkle. You can also choose from 100% polyester, polyester / nylon, and nylon / cotton. As well as from lace, trimming. 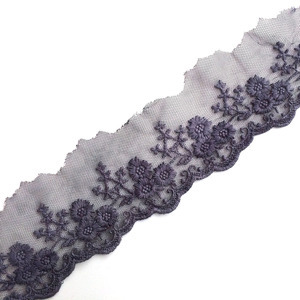 And whether garment edge lace trim is embroidered, crocheted, or knitted. 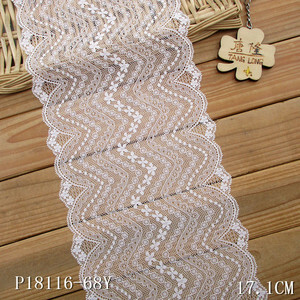 There are 766 garment edge lace trim suppliers, mainly located in Asia. The top supplying countries are China (Mainland), India, and Pakistan, which supply 99%, 1%, and 1% of garment edge lace trim respectively. 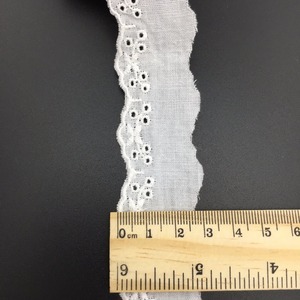 Garment edge lace trim products are most popular in North America, Southern Europe, and Western Europe. You can ensure product safety by selecting from certified suppliers, including 35 with ISO9001, 32 with Other, and 8 with OHSAS18001 certification.